Turkish Airlines included Asmara (Eritrea) in its flight network. Asmara became the first flight point in Eritrea while Eritrea became 27th country in the flight network across the continent. 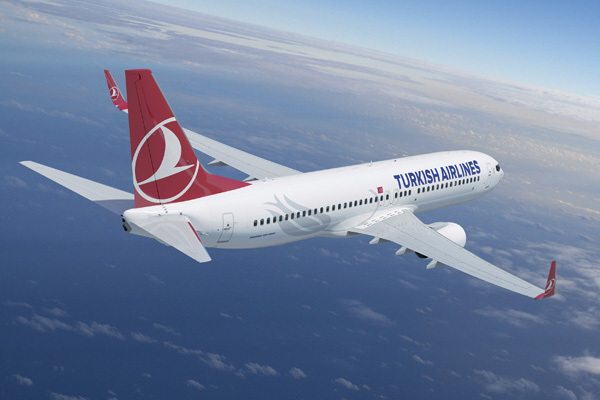 The flights will be performed 3 days a week including Tuesday, Thursday and Saturday from Istanbul as of 19 August. On these days the plane leaves Istanbul at 18:20 Uhr and mades a stop at Ta’if Regional Airport (TIF; Saudi Arabia) at 22:15. After one hours the plane starts again and lands on the next day at 1:05 at Asmara. The return flight starts at 2:05 and lands at Ta’if at 3:55. After one hour it is going onward to Istanbul where the plane arrives at 8:35.